I will be honest - I am all about the bling when it comes to running. 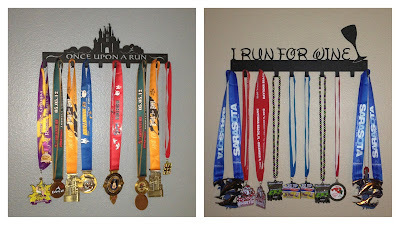 My friends make fun of me because the first thing I do before committing to a race is looking online for prior year medals. If the race is anything over a 10K and does not offer a finishers medal, I do not participate. I want to look at something and be reminded of my accomplishments. 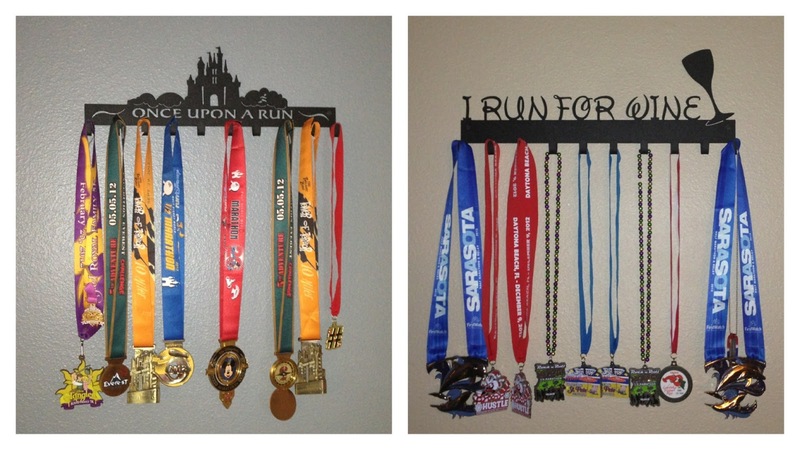 We have collected all of the medals below from various races, 2012 to present day. I was beyond ecstatic to learn that Tampa's Flavor Run is offering a participant medal to any runner who enters the race. 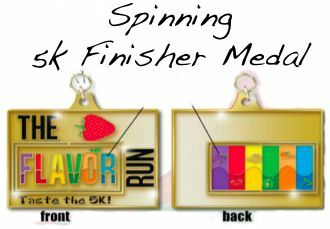 After the fun run is over, you will be covered in FDA Approved/All Natural celebration powders: yellow (banana), orange (orange), Red (Strawberry), Green (Watermelon), Purple (Grape), and Blue (Blueberry) powders and sporting this fantastic spinning medal! This will be my first non-runDisney 5K medal! "What in the world is The Flavor Run?" Make sure you register before the increase on July 1st. Visit FlavorRun.com for more details.